Today Highfield Church are using St Clements as an extension of their classroom! A whole day out spent in the meadows doing woodcraft activities – art, sculpture, maths (measuring tree trunks and working out tree heights). 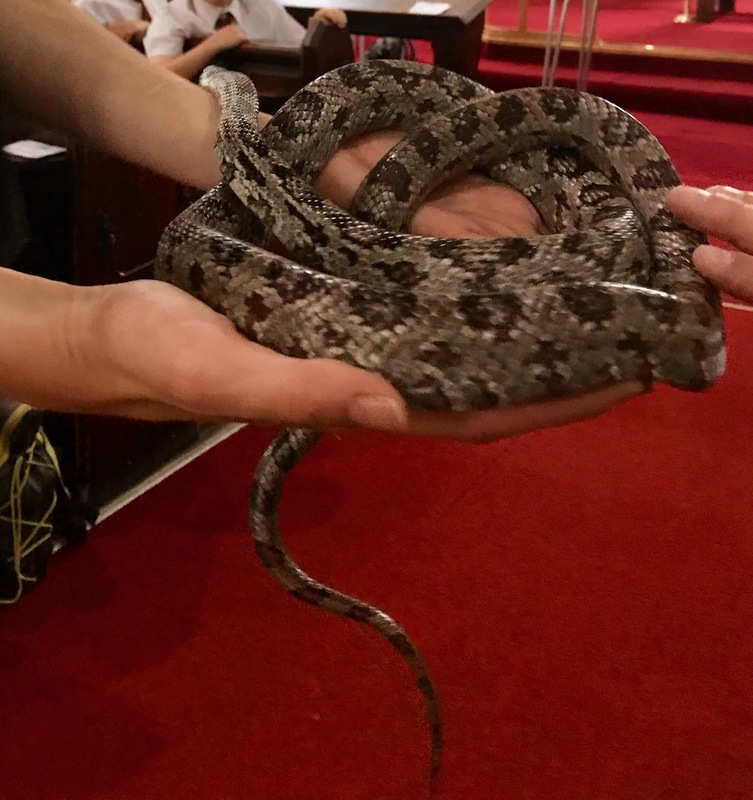 And inside St Clements – a chance to meet a Great African Land Snail, a giant millipede, a tarantula and a corn snake. Did you know that snail slime is used in face cream and mascara? Well its perfectly true as we have just discovered. And you can eat them! Lunch at St Clements. This bit is the hardest part of the day… we hope that one day soon we will be able to provide more appropriate lunch facilities…but we managed . Thankfully its a sunny day and there is plenty of room on the grass.